New Yorkers, who come to The Family Center for expert services, are confronting crisis or loss. However, they possess many strengths. 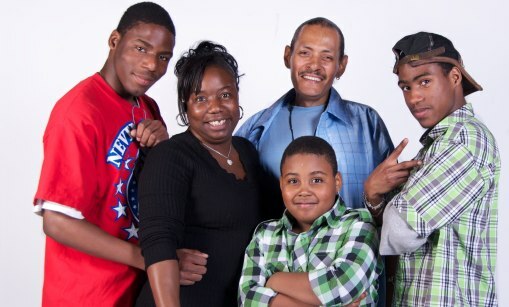 The Family Center Consumer Advisory Committee exemplifies the strengths of our clients. This unique group of agency clients provides ongoing feedback on our programs and services, and their impact on clients’ lives. These strong advocates -or “CAC” members, as they are known- honor us with their service and dedication to continuous quality improvement at The Family Center. Family type: Nearly 100% of client families are single-parent households and 90% of those caregivers are women. Often caregivers are not the child’s biological parent, rather a grandmother, aunt, or unrelated caregiver. The average Family Center client has three children. Income: More than 96% of clients live below the federal poverty threshold, which for a family of four in 2017 is a mere $24,600 a year in annual income. This leaves our clients with less than $500 a week to keep their children fed, clothed, sheltered, etc. -all in one of the world’s most expensive cities. FAMILY CENTER CLIENTS FACE MANY CHALLENGES BUT HAVE MANY STRENGTHS! Race: Our racial demographic breakdown is 48% African-American, 46% Latino, and 6% Caucasian, Asian, or of a mixed racial background. Geography: All clients reside in one of New York City’s five boroughs. 58% live in Brooklyn, 18% in the Bronx, 11% reside in both Manhattan and Queens, 2% are in Staten Island. Illness: Of clients affected by illness, 34% are impacted by HIV, 8% are dealing with a cancer diagnosis, and 21% are faced with a mental health challenge. The remainder of client families have already lost a parent (11%) or are faced with a crisis like a substance use disorder that puts their children at risk (26%).